Grace Handlos has set her sights high. The junior from Salsbury, Indiana is majoring in animal science production. Throughout her life, Handlos has worked with horses. Now, she wants to become a show horse trainer. Handlos is a dean scholarship recipient. She says she will never forget opening the envelope from SIU informing her of the scholarship award. “When I read I received the scholarship, I was ecstatic. I never thought college could be affordable without going deep into debt,” Handlos said. Like so many other students and faculty, Handlos says the college feels like one big family. 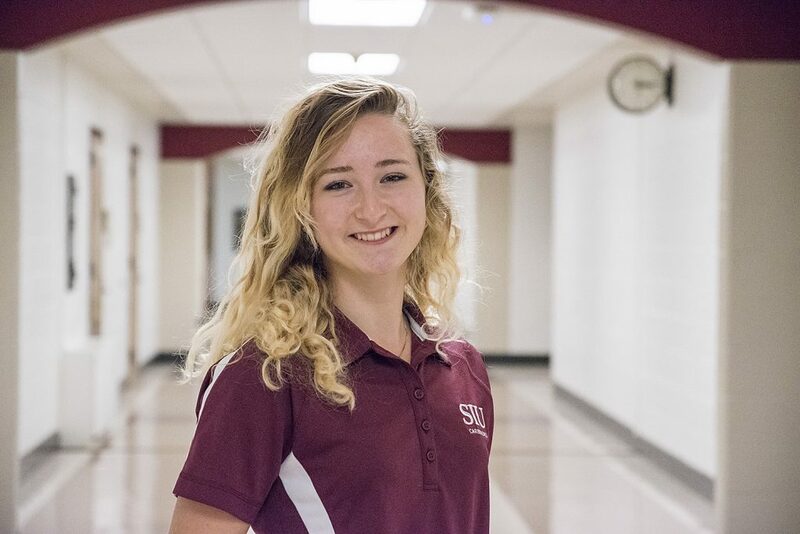 “Even when I first visited SIU and the college when I was trying to decide where to go to school, I sensed that they were like family,” she said. Handlos serves as an Ag Council representative for the live-stock judging team, is a member of the honors program, and conducts research in the plant pathology program. For more information, visit www.foreversiu.org. For information on how to donate to the SIU College of Agricultural Sciences, visit http://foreversiu.org/colleges-units/agricultural-sciences.php.